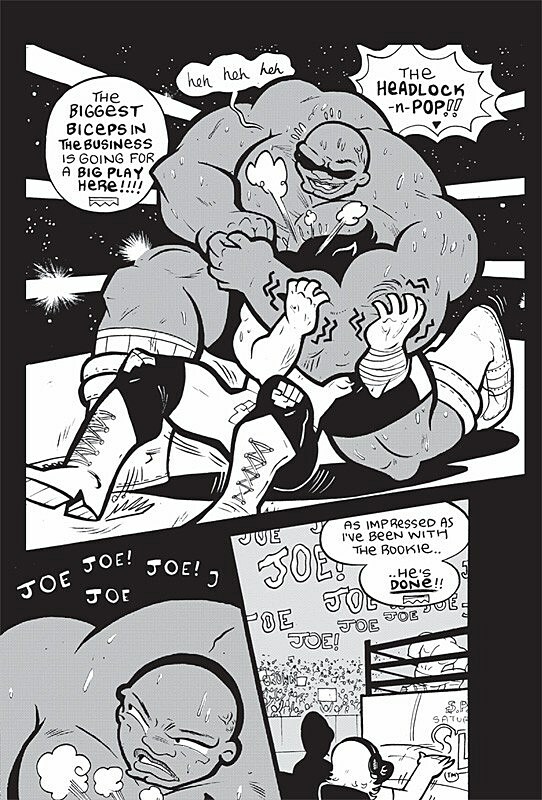 Next week, Jarrett Williams' "Super Pro KO" hits comic shop shelves from Oni Press, and at long last, "Spider-Man's Tangled Web" #14 may lay down its burden: We have a new Best Comic About Pro Wrestling Ever. 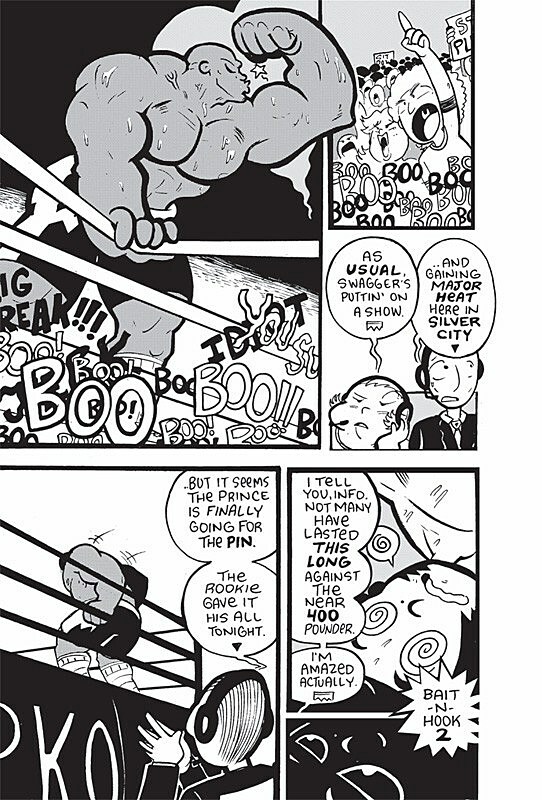 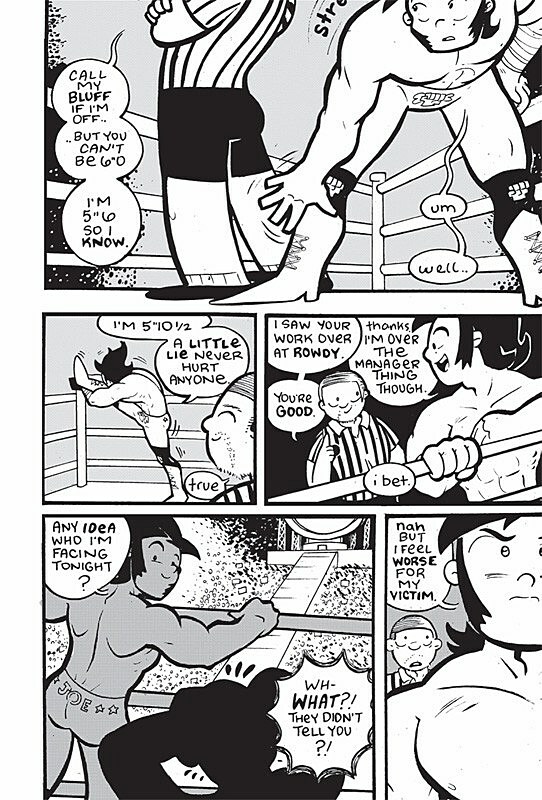 As a fan of pro wrestling and comics, it's nice to see the two come together so well in a book that not only manages to do things like drop toe-holds, jackknife pins and Roaring Elbows accurately, but makes them fun and dynamic as well. 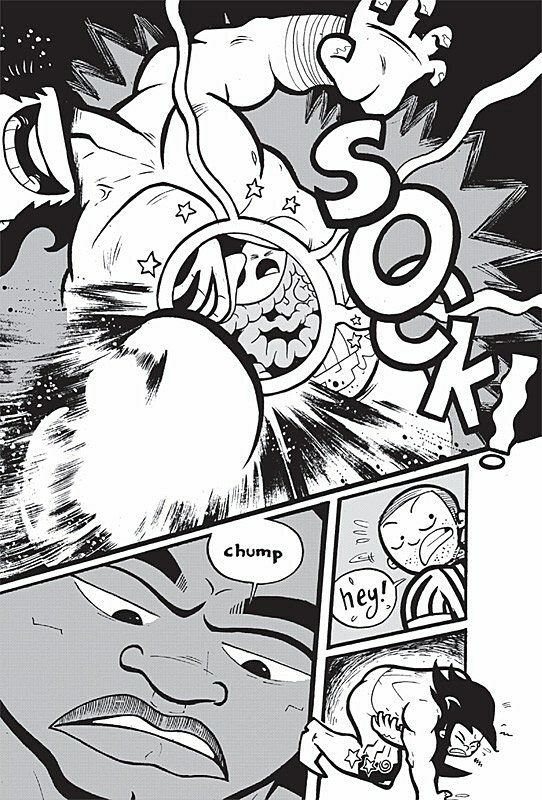 But in the words of the great LeVar Burton, you don't have to take my word for it, because today, Williams and Oni have given ComicsAlliance a massive preview to build some heat before the graphic novel drops next week! 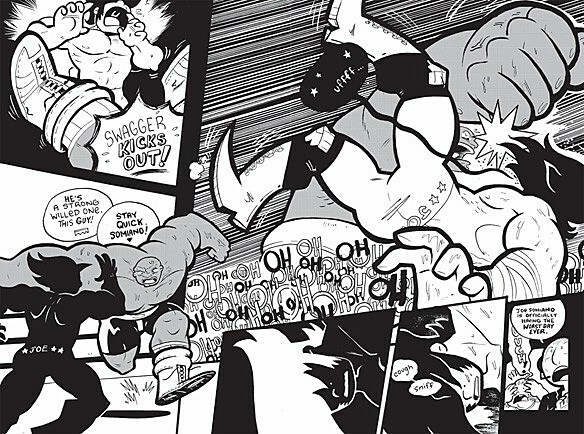 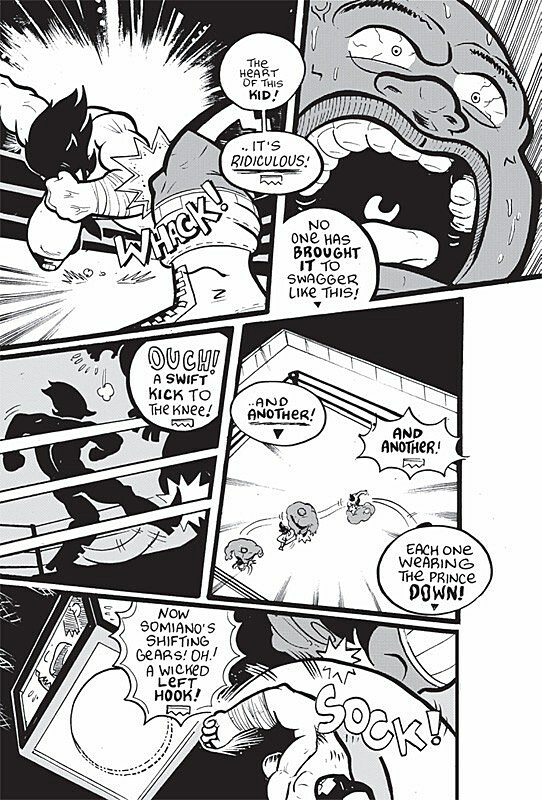 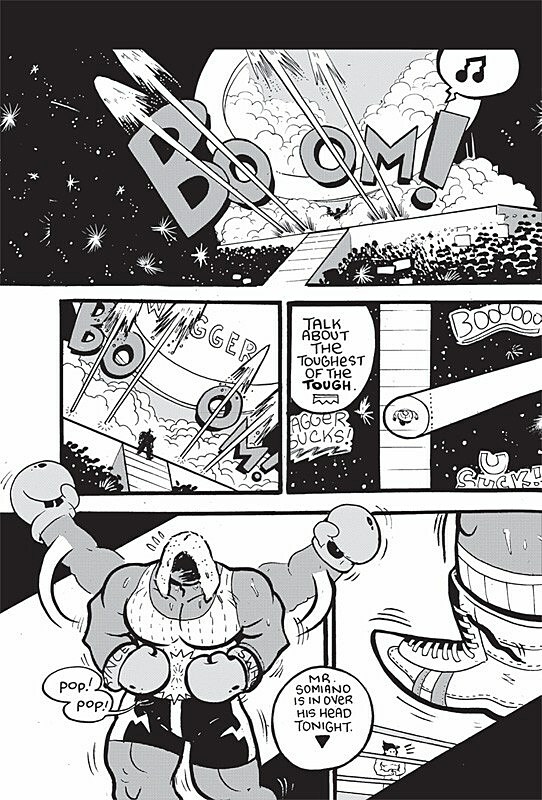 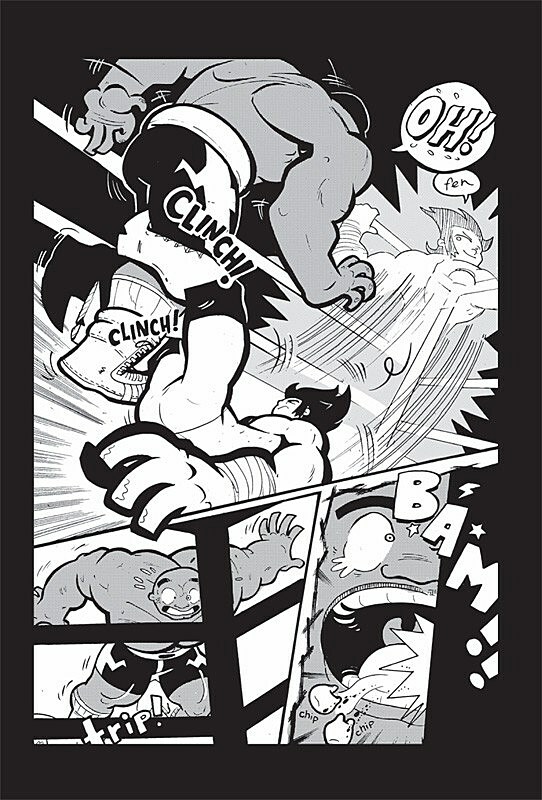 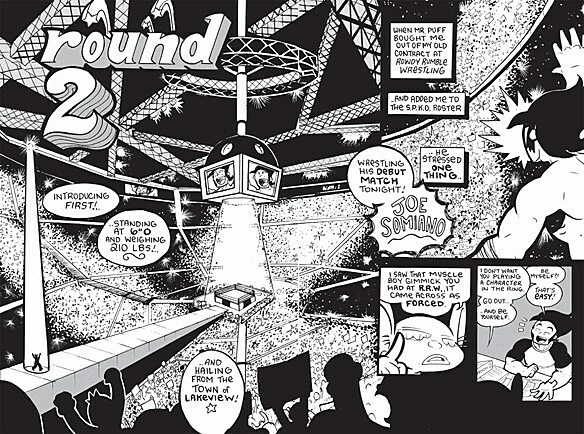 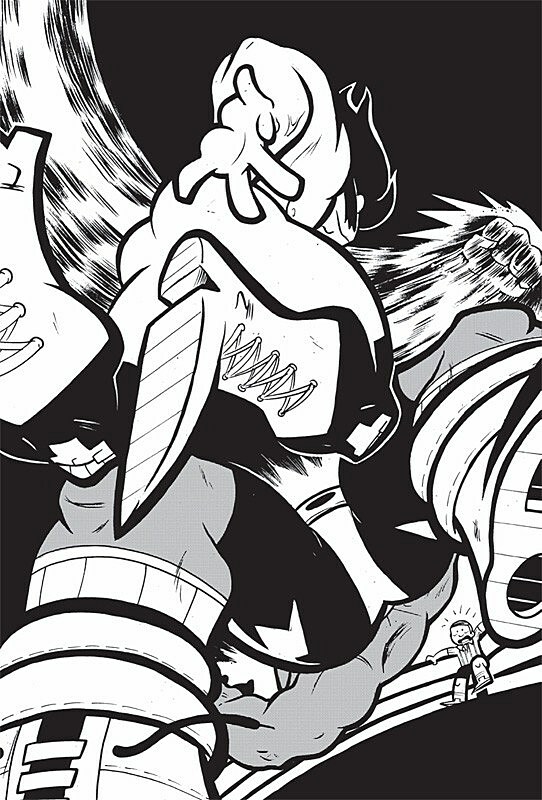 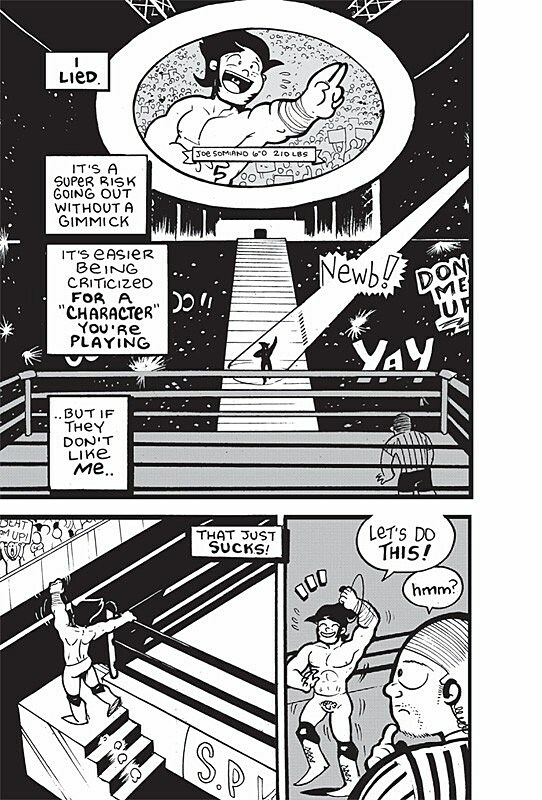 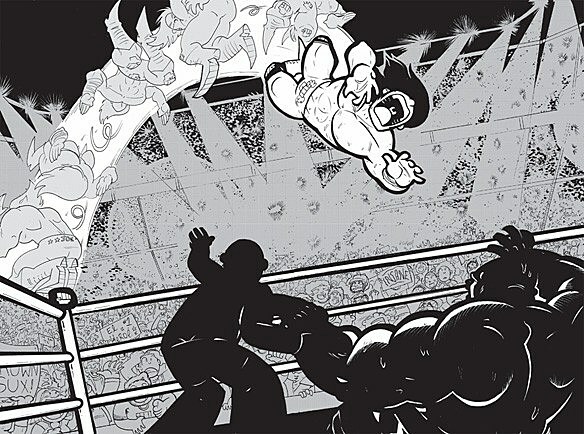 So lace up your boots, tighten your lucha mask, and grab that folding chair for an exclusive 32-page look at "Super Pro KO," complete with a piece of never-before-seen original art! 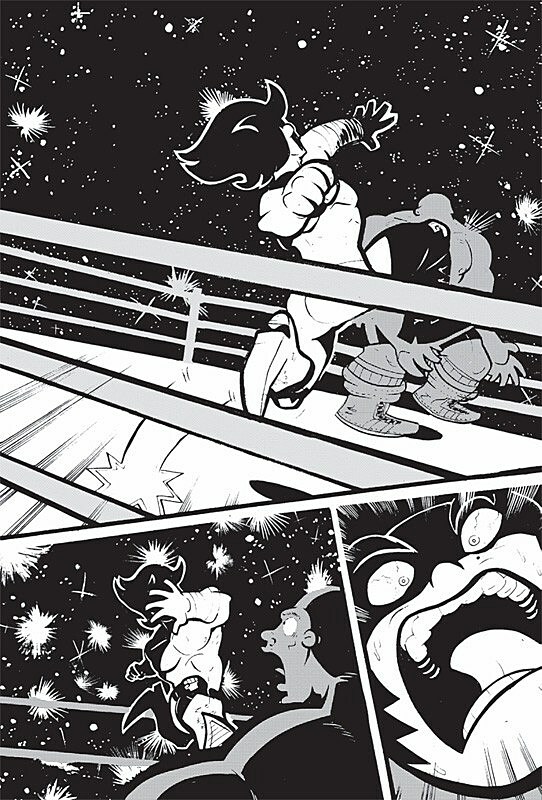 "Super Pro KO" will be available in comic book stores next Wednesday with a cover price of $11.99, or pick it up from the Oni booth (#1833) at the San Diego Comic-Con next weekend! 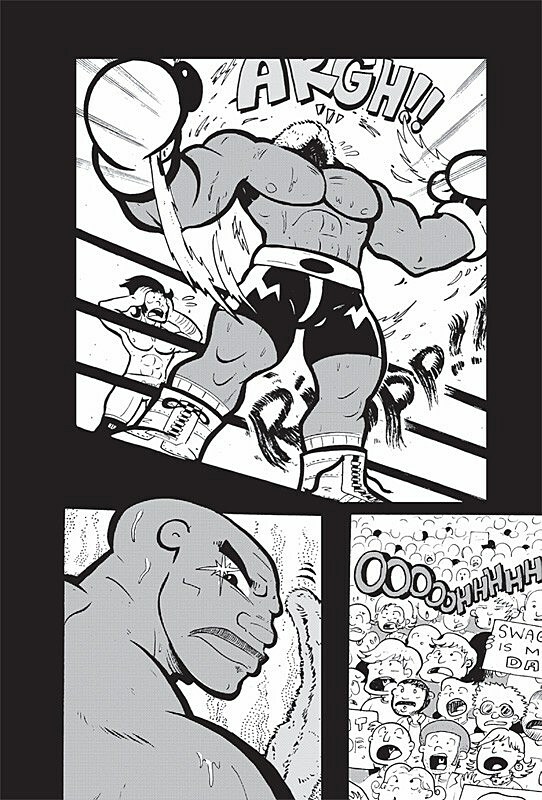 Swing by during one of Jarrett Williams signings and you can compete for the Super Pro KO Heavyweight Championship Belt of Comic Con 2010! 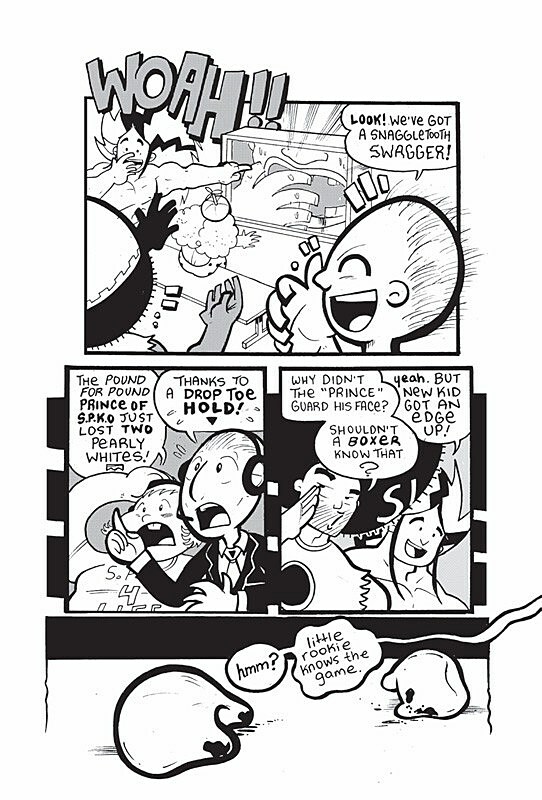 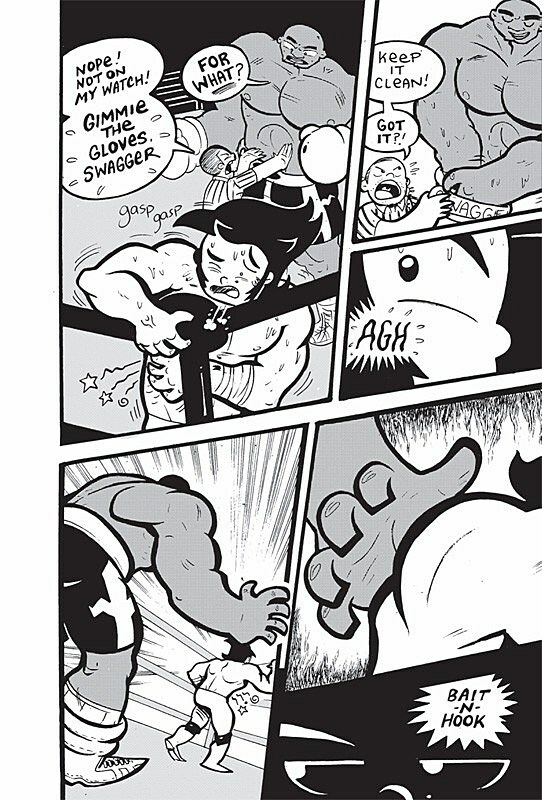 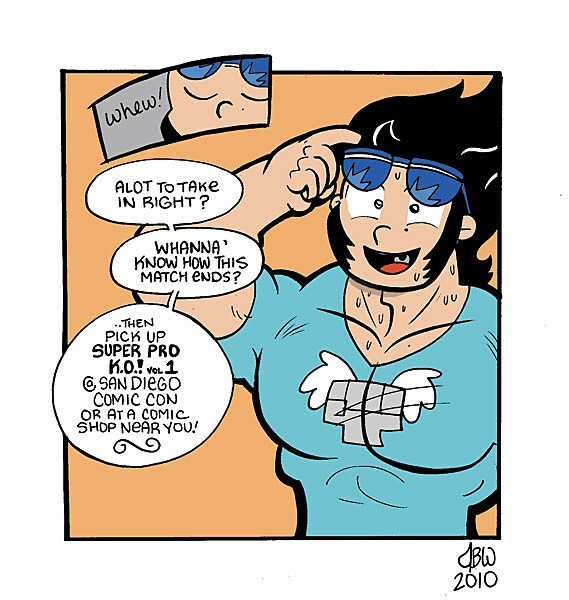 Filed Under: jarrett williams, JarrettWilliams, Oni Press, Super Pro K.O., SuperProK.o.